I first (virtually) “met” Lo back in December of 2014 - she and her husband Major were planning a simple weekend getaway / vow renewal for October of that year, and they were looking for a photographer. We exchanged emails and made plans - it was all quite simple and straightforward. Then, of course, life interfered in the most delightful way possible - instead of eloping to New Orleans, Lo and Major spent October welcoming a new addition to their family. 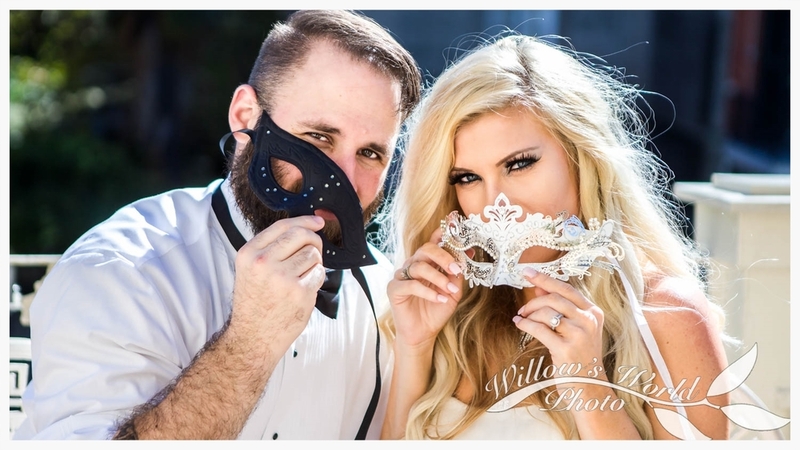 Time passed, and we fell out of touch - then out of the blue, I receive a text message: Lo and Major had tossed their careful plans aside and, at the very last minute, were on their way to New Orleans - was there any possible way that I could find a few hours to shoot their vow renewal? As it happened, I did still have a time slot available at dawn on Friday (sunrise, as it will probably surprise no one to learn, is not exactly my most popular time slot for NOLA weekends). The day dawned bright, early, and utterly flawless, golden light perfectly illuminating the front porch of the historic Cornstalk Hotel as I made my way inside to meet Lo and Major. Lo wore her long blonde hair in tousled curls down the back of a lovely mermaid-style wedding gown. Major provided the perfect counterpoint to his wife’s simple elegance with his polished shoes, tuxedo pants, and a dress shirt with sleeves rolled to reveal his intricate tattoos. We made our way down Royal Street, through Pirate’s Alley, and up the walkway behind Café du Monde. 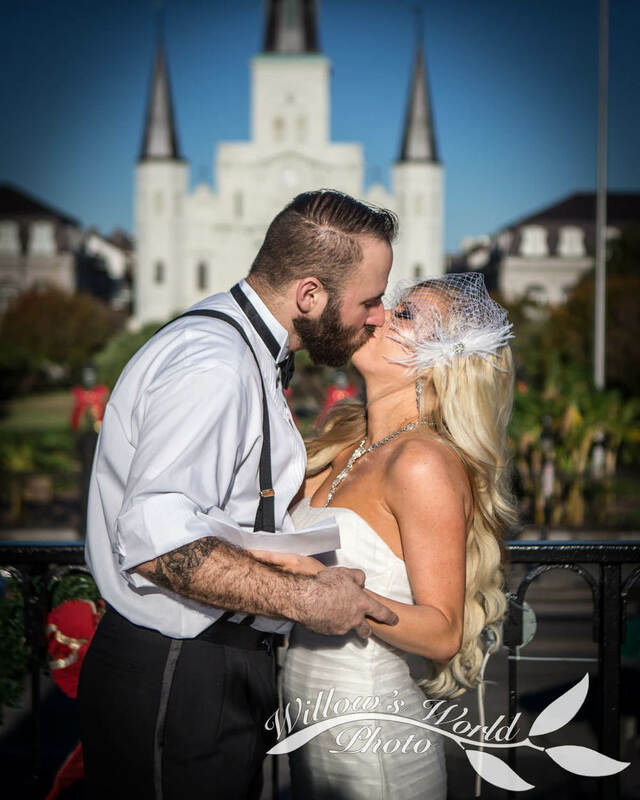 With Jackson Square providing a stunning backdrop, Lo and Major clasped hands and renewed their vows. There was no officiant. There were no complicated rituals, or readings, or speeches. They simply gazed into each other’s eyes and spoke softly. It was sweet, simple, and one of the most utterly perfect expressions of love that I have ever seen. Beignet sugar and wedding rings - does it get more delightfully NOLA than that? After the vow renewal was complete, I followed the happy couple down to Café du Monde. Still in full wedding regalia, Lo and Major relaxed with their café au lait and celebratory beignets, laughing as the powdered sugar (inevitably) got everywhere. 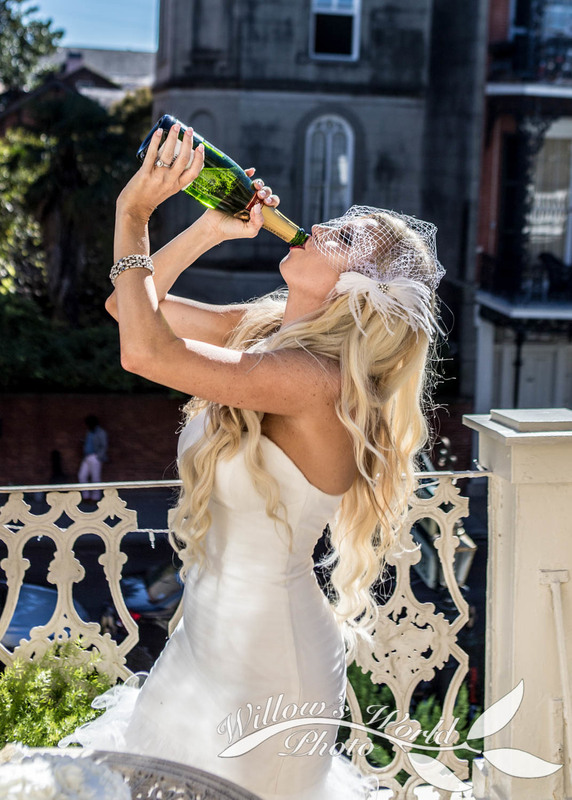 Back at the Cornstalk Hotel, we made good use of the gorgeous balcony to enjoy cake (fetched from my personal favorite, Swiss Confectionery) and champagne. It was truly a perfect morning, full of love, laughter, and unadulterated joy. They have been married for ten years - and they have six children together - but Lo and Major are every bit as blissfully in love as any newlywed couple. Congratulations, Lo and Major!